You are here: Home > SoftBank Eyeing T-Mobile As Plan B Option If Sprint Buyout Falls Through? It’s about time another T-Mobile buyout rumor surfaced because we’ve clearly gone way to long without one of those. This time Reuters is reporting that SoftBank, the Japanese carrier is eyeing a possible deal with T-Mobile if their Sprint buyout falls through. 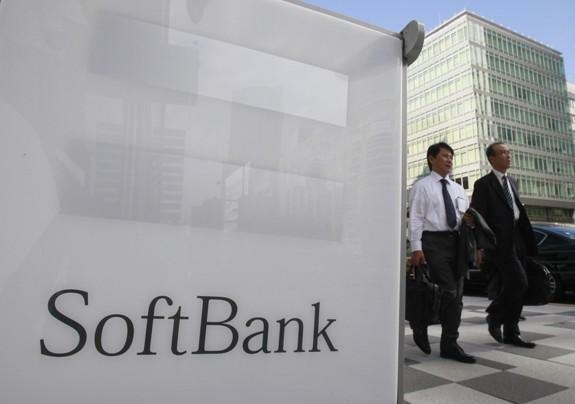 SoftBank and Deutsche Telekom had been in talks last year about a potential deal and have had periodic discussions since then according to Reuters sources. The Sprint deal which was once thought to be a pretty safe bet for approval saw a huge wrench as Dish Network countered with their own bid. SoftBank’s interest in T-Mobile is said to be more of a “Plan B” option if the Sprint deal, which SoftBank still hopes to see approved falls apart. SoftBank’s potential interest in T-Mobile is clearly accelerated by Dish throwing their hand in for both Sprint and Clearwire. In order to help squash any concerns about the international investment in Sprint by a Japanese carrier, Sprint announced it was hiring former Chairman of the Joint Chiefs of Staff Mike Mullen as their “Security Director” post buyout. “It seems to me that this is more SoftBank posturing to perhaps pressure Sprint’s special committee to not delay the vote next week to continue its negotiations with Ergen,” said BTIG analyst Walter Piecyk, referring to Dish Chairman Charlie Ergen. T-Mobile shares rose more than 3 percent today on news that SoftBank had potential interest. So…. Dish Network and Softbank are looking to buy Tmobile or Sprint lets see how this goes…. I wouldn’t be totally opposed to SoftBank acquiring part/all of T-Mobile. SoftBank competes directly with NTT DoCoMo, who I hold in exceptional regard, and hopefully SB’s influence over T-Mo would bring some of Japan’s better technology to the US, including streaming video way beyond what the average US consumer has access to. RCS, or Rich Communications Services, is basically a universal communications platform that allows for direct file transfer, sms and mms over data channels. Here’s a quick brief on it. Currently, only MetroPCS has an RCS client. SRVCC, or single radio voice call continuity is what I’m super stoked for, which allows for seamless handover between LTE, legacy networks such as HSPA and edge, and eventually data channels such as WiFi. A quick Google search will provide some brochures. It’s probably gonna be a while till all these technologies are fully implemented though. SRVCC only applies to CS Voice from WCDMA/GSM to PS Voice on LTE and back. PS Data handover is accomplished with a different mechanism. Ah, sorry. Please forgive my ignorance. Either way I’m hoping for a day when handoff from WiFi to a cell signal will return. I’d rather T-Mobile focus on their coverage first though. T-Mo, Dish, SoftBank, Sprint and Clearwire are all a scrambled mess. Wonder who ends up where by the end of the year. Then there’s Leap Wireless left all alone in the wilderness. if T-Mobile will still exist, and still remain in business as is, then im all for it. What would happen if they go after T-Mobile? Well, if DT really wants to get out of T-Mobile once they have a chance, I’m all for Softbank buying DT’s share out. We may get a chance to get more Japanese tech and possibly cheaper roaming in Japan(and vice versa). DT is willin to sell to anyone.. their whole business across the pond has been hurting them.. one reason why they started selling the countrys that are doing bad.. I think the timing of this is very interesting. Softbank could be showing Sprint Shareholders that they are not the only way SB can move into the US market. Lets be honest, those shareholders do not want to be bought by dish, they just want more money from Softbank. I do not think anyone want to partner with dish. They are using dish’s desperation as a tool to drive up their price. I don’t see this happening. Like stated above Clearwire is just driving up the price to be bought out by Sprint. I don’t think they have any serious intention of being bought out by Dish. However Sprint is in very bad shape right now and in a total mess so they can’t afford to take that chance. I think Sprint needs to up the bid and secure the buyout for them. Sprint is very bad to screw up anything though but I’m hopeful they have finally learned there lesson. I’m pretty sure they realize without this 20 billion from SoftBank they are done for. Sprint can’t afford to take any chances they are in a mountain of debt, dealing with a mixed network of technologies and are in the middle of not only an LTE roll out but a Network Vision project to get everything combined. At least T-Mobile has a more put together network and easier upgrade path as well as the spectrum and cash they were infused with from the failed AT&T deal. Let’s also remember Sprint is still losing customers and losing money every quarter, T-Mobile gained some customers in the latest quarter and are showing a little profit which Sprint can’t claim any profit or customer gains at this point in time. The truth is both carriers are struggling with issues but Sprint is by far worse off and still seeing customers defect to other carriers. Between T-Mobile and Sprint for sure T-Mobile while having less customers is still the stronger company. The nextel brand is losing customers for Sprint. The Sprint brand(CDMA) is actually gaining customers and has been for the past few years. The nextel losses will be removed as the last 1.3 million customers get kicked off after the iDEN shut down date. I do think Sprint is on the downward in terms of customers with their current network and being behind in NV is hurting them. Sprint is on the upward when it comes to cash. They will finally dumb the expensive iDEN network which costs them over 1.5 billion a year in fixed costs. If we are talking about potential, I believe Sprint has more potential. Sprint has access to Clearwire’s massive amounts of spectrum and sub-1Ghz Spectrum. Also Sprint’s network vision is covering their entire network, while Tmobile’s current plans only cover their 4G network. Sprint also is 2nd in ARPU and growing, which means Softbank could cut Sprint’s pricing to aggressively compete with ATT/Verizon while still maintaining a strong ARPU. Sprint could have more potential but honestly they seem to mess everything up. They always spread themselves out too thin and just seem to throw darts at a board with multiple plans and nothing pans out for them. WiMax was a complete failure for Sprint/Clearwire, they had the affiliate situation that caused them lots of money and law suits many years ago as well. The Nextel buyout was a total failure and nearly all of the Nextel business was written down as a debt. Now you have this trist with Sprint/SoftBank/Clearwire/Dish Network. I don’t even see Sprint’s logic in how they are building out LTE even in many markets they are launching it in the middle of nowhere yet skipping larger cities. They are launching LTE markets pretty much the opposite from the other carriers, once again “Sprint Logic” for you. Sprint logic defines normal logic and only makes sense to Sprint. From reports I’ve read even in markets that have Sprint LTE it’s slow and suffers from spotty coverage. If Sprint can get Clearwire and if Sprint is bought out by Softbank and if Sprint manages to integrate the network together and launch LTE properly yes they could be incredibly successful and with a ton of spectrum. However this is a lot of ifs and Sprint’s past has shown they rarely do anything right and the company lacks focus. I’m still not convinced that Sprint even has a plan to this day, I still think they are just going with whatever works for now. Which is typical they never think in the long run and unless they stop that now the company has no future. Now don’t get me wrong I’m not a Sprint hater, I think they bring something to the table and I would love to see a very strong third player to Verizon and AT&T. Sprint though just has a very bad history and still a lot of problems to over come though before they can be that heavy hitting competitor if it’s even possible for them. Sprint’s previous BOD screwed them up. Sprint is still paying the price of the nextel deal. I doubt any of the members of the Sprint regime during the Nextel buyout are still there. I know The CEO has changed. They chose WiMax, because LTE was not ready at the time and they had a deadline to follow or lose that spectrum. Also Clearwire did fudge up the wimax build out with their massive marketing campaign to become a fixed wireless broadband provider. Sprint’s build has been hit with delays from backhaul vendors to equipment delays. This has cause Sprint to rethink their strategy. Sprint has now gone from doing hard launches like the big three to soft launches. Instead of turning off the network to customers until they launch, they will leave the towers on, so at least customers do not have to be stuck with their bad 3g network. Would you rather be stuck with sub 500Mbps speeds or 5-7Mbps speeds on LTE? Also Sprint is working on rural areas at the same time as major cities, but the problem is that major cities have hundreds of towers, while a small city may have 5 or 10. It is going to be easier to complete the small city compared to the big, which is why it seems like they are only launching in small cities. Sprint’s logic makes sense when you see the card they have been dealt, but not many are willing to look past the surface. You are correct, it is a lot of ifs, but Sprint under Hesse has always had a plan. The problem is that they inherited a crappy ship from the old regime. Hesse was the one shopping the company around. Masayoshi Son did not magically want Sprint. Hesse realizes that they need capital to truly compete and free themselves from the shackles of being over leveraged. Hesse has been a great addition to Sprint and I feel like he really wants to get the company in shape and cares about customers. One thing I give him is customer service is 500 times better ever since he took over. Sprint went from the worst in customer service to number one or at least a tie for number one. The problem is he still inherited a sinking ship and it’s hard to rise a sinking ship. He’s a great leader and a great man but he’s still only one man and I’m highly skeptical if he can pull it off. I’m also still concerned that Sprint is some how going to screw up the SoftBank merger or lose Clearwire. They need Softbank and Clearwire even if one of those fall apart for Sprint the company is going to have a very short future. I feel like T-Mobile can survive on it’s own at least for a while but Sprint is reliant on buying out Clearwire and a majority buyout from SoftBank to keep them afloat. Sprint’s future is still on very shaky ground at the moment and that is worrisome for the company. Tmobile definitely is in a better position, but I never rejected that notion. I just stated that Sprint has more potential. They both need help. I do believe that The saga will fix itself up soon. Sprint does give Softbank economic scale for the 2.5Ghz spectrum and make them the third largest smartphone purchaser. I do not believe they are close to going with Plan B.
I still think this is a ploy by Softbank to make some greedy shareholders understand that they can walk away from this deal. No shareholder wants to join Dish and create an even more over leveraged company. And to get Dish to let their guard down. Softbank has made 2 4+ billion dollar bond offers in the last three months. The Sprint deal is already financed. I could see them make a upped offer at the last minute( like Dish did to Sprint) to steal the deal away. Oh I agree as well that Sprint is in a better position if everything is pulled off right. They will have a lot of spectrum as well as financial backing. The problem is I think ClearWire is playing Dish against Sprint to get more money out of them. Then you have Sprint who is playing Dish against SoftBank trying to get more money out of them as well. Sprint is in no position to play any money games at this time. They need to fully accept the SoftBank offer and not bicker with Clearwire over price. I don’t like that Sprint/Softbank/Dish/Clearwire are all essentially playing games and now Sprint is essentially threatening Clearwire if they take the Dish deal. This has turned out to be far more complicated than Sprint or Softbank imagined I am sure. Although things would be far better if Dish wouldn’t be trying to play them all against each other and throwing in bids. If Softbank is considering T-Mobile as plan B whether serious or not it shows they are concerned about this falling through but want some back up in the US market if it does. Dish would NOT be good for Sprint or Clearwire and I hope both companies see that. I do not beieve Sprint is playing Dish against Softbank nor is Clearwire’s board. The problem is that they must review all offers or be seen as having bias and not completing their fiduciary duty. This could make both boards liable for lawsuits and kill the deal. These investment firms do not care about long term for either company, they just care about dollar signs, which Dish’s offer has, even if he leverages the company. Clearwire realizes that they have no hope of continuing as a independent company. No one wants to partner with them. The problem is Crest and others continue to block the deal. Sprint needs 75% of the vote to get the deal done. I do believe sprint will pull a fast one prior to the vote to seal the deal. Sprint almost got Clearwire before Dish’s 4.40 offer. Sprint also has investment firms trying to block the deal, however they have definitely been pushing the Softbank deal. I even believe that they want Dish to put down a serious offer, so that they can officially reject the deal in favor of the Softbank offer or at least get Softbank to raise their offer to make it clearly superior to Dish. Dish cannot compete with Softbank for Sprint. I hope Dish rots. I hope neither Sprint nor Tmobile has to deal with them. I don’t want Dish to have anything to do with Sprint or T-Mobile as well. Dish has managed a lot of things poorly as well and meshing two companies with management problems is only going to cause more chaos and problems. They took far too long to work out a deal with AMC because of greed and they’ve outsourced most CS over seas to cut costs. Let’s also remember Dish bought out Blockbuster as well and that’s not exactly turned out for them well either so they clearly make mistakes plus they have no experience in the wireless phone field. From an overall stand point it would be terrible if Dish somehow got any sort of control over Sprint, Clearwire, or god forbid T-Mobile. I agree, Sprint & Dish would be bad. The CEO at Dish has a history of some very questionable moves. As for Spectrum, Clearwire, while nice on the surface has some major drawbacks. First being that it’s Spectrum is all 2500Mhz +.. No matter what Sprint/Clearwire do, it’s going to cost them much more to build out their network than it will with their competitors. It’s a large reason it has, and will, take them so much longer to build out. Shorter distance, less building penetration, more towers, higher costs to maintain, buildout, and operate. Sprint does have the old iDEN network(800 MHz Spectrum), but thats only 10 MHz and as low as 5 MHz in some areas; Where other competitors are easily 20 MHz for LTE. I think they are hoping Clearwire can help fill that out, but as I said, the high frequency Spectrum is a drag as much as a help because of limited range and building penetration which increases rollout times and number of towers needed to cover the same area. The next year will tell really.. Will be interesting times. my prediction is the Softbank deal with Sprint goes through, 1 1/2 to 2 years later new Soft-Sprint Corp. makes a play for T-Mobile US. doubtful, more like Dish tries to buy T-Mo as plan B if they dont get their ways..
Sprint will never own t-mobile…. Gov interference will stop it. question, would softbank be buying tmobile or wouls they be purchasing DT’s shares? I’m thinking shares/company is the same thing. Unless I’m missing something. According to Bloomberg Softbank will buy the 74% DT owns in TMUS, apparently around a $15 billion value at present time. Well, SoftBank has the option of purchasing up to 29% of the company from Deutsche Telekom or the full 74% stake from Deutsche Telekom. TMUS is still quite profitable and has a decent FCF, so Deutsche Telekom might be more willing to part with 29% of the company rather than the full 74%. Potentially, Leap Wireless might be brought along for the ride, too. I imagine that the ability for DT to sell up to 29% of the stake was designed specifically for a future stock-swap transaction with Leap Wireless to acquire the company. But it can be used for SoftBank to invest in TMUS by taking shares from DT. Leap? Aren’t they one leg in the grave? Do they even have spectrum? In terms of the remaining spectrum T-Mobile needs to launch LTE without cutting down HSPA+ on AWS in the remaining top markets, Leap Wireless has the spectrum T-Mobile needs. Leap Wireless won’t be doing so well in the future once MetroPCS’ AWS CDMA orders stop coming in (since MetroPCS is switching to UMTS/LTE from CDMA/LTE). is there any place to go and see how much spectrum Leap has? Select Cricket under the Carrier tab. Click on any of the given licenses to see where Cricket (Leap Wireless) has spectrum. Or people can have a new name to mangle and call it Soft-Spring or Boing if they want something original. Then again someone’s bound to get confused between Boing and Boeing and Boeing will likely sue because you know planes and mobile phones are so similar and someone’s likely going to be confused. but SoftBank service is great plus they use the same frequency as Sprint for LTE , i think somebody said that before on this blog so SoftBank can fix MESSprint or sink it. Softbank may be finding out how horrific the Sprint service disruption ove the past three weeks, has been. Wonder if Dish Network is somehow causing the problem to make Softbank not want to buy them. If the Softbank deal dies and Sprint’s network performance suddenly improves, that won’t be too big of a shock. DT wants out it’s just longer going the MetroPCS way but eventually they’ll strike a deal with somebody. I don’t see anything right away though because I think SoftBank will be successful in its bid for Sprint. you believe correctly. Dish wants a mobile operator – it’s either Sprint/Clearwire or T-Mobile. Softbank or Dish would be a benefit to T-Mobile. Softbank CEO is competitive and aggressive. So is this how T-Mobile will upgrade my snail paced Edge speed in Truckee, Ca? I read the article about T-Mobile aggressively rolling out LTE, which could include building lots of new towers for “Everywhere LTE”. I’m still dreaming of a 4G Christmas…… or any other day asap….!! well depends. T-Mobile policy up until John Legere came was to upgrade large metro areas only. I don’t know if you count as large metro area. You never know now that there are no contracts and people can move freely out of the service what would happen. Agreed, either way both of the CEO’s will get what they want.. Dish wants in and they don’t have alot of time to build their own.. they will buy which ever one, and since DT doesn’t want nothin to do with T-Mobile USA any more it def positions the company to be bought out by year’s end by Softbank, or Dish..
what we do know is neither one will be able to buy Sprint and T-Mobile as that would be shot down by the DOJ or FCC.. as they have shown 4 is competitive and 3 isn’t. SoftBank buying T-Mobile? even better!!! softbank better stay away from tmobile. Lets just say $4 billion and some spectrum has made a world of difference in tmobile speed and service imagine what $20 billion can do? Softbank will take Sprint, and Dish will merge with T-mobile or have a sort of cooperation. When I was in Japan (Tokyo) about a year ago, most Japanese were using “giant” flip phones (think original Moto Razr form factor but the size of an iPhone while folded) with physical keyboards. The screens operated primarily in “portrait” orientation. That amounted to screens of similar size as today’s smartphones but without keyboards occupying screen real estate. I would love for this to happen! T-Mobile needs the extra cash to become more competitive at spectrum auctions that are usually dominated by AT&T and Verizon. Would this make T-Mobile’s stock rise or fall? Do people want softbank to own t-mobile? I don’t know anything about Soft Bank. Never heard of them before the sprint rumors. what would be the outcome of the softbank and tmobile there could be the end of unlimited data is that what people want? i know tmobile need some cash to survive but they just brought out metropcs and their already close to sprint number 3 spot after they modify metropcs customers in tmobile network. as of right now dt has 74% of the new company and that majority of the company so softbank has the power to do anything they want if they buy it from dt. if the new tmobile share holder buy all the stock from dt before softbank does and the ceo John Legere would keep tmobile more competitive. and that’s what i want. this is my opinion even if softbank is a japanese carrier that does mean anything they run different frequency dont expect just because its a japanese carrier mean tmobile would get the best of japan like sony xperia phone etc. i like how tmobile is after the integration of metropcs spectrum by then tmobile would have cash flow to buy more spectrum. Will T-Mobile be better off owned by a Japanese company, though? okay, im kind of lost what are the benefits of soft-bank or dish buyout for T-Mobile ? & Then what is the downside if Soft-Bank or Dish buyout ? Sprint has bigger problems than Dish Network, at this time. There is a nationwide service disruption on the Sprint network and I’m trying to figure out why it hasn’t yet been reported on in the media. There are thousands of customer complaints about the service disruption involving dropped calls, difficulty placing and receiving calls, and callers can’t hear me on my Sprint phone. This can be traced back three weeks. In my local area, the same three towers keep going down. Sprint claims that they get fixed, but in the past three weeks, the towers in my area alone have had issues for over a week. Sprint’s Facebook page is drowning in customer complaints, as well. Softbank must’ve noticed this by now and is likely reconsidering buying a cellular network that is about to experience an exodus of customers fleeing, some of whom are willing to pay an early termination fee that won’t offset customer losses to other carriers, such as T-Mobile. Trust me, none of the other big four Cellular providers have the kind of network unreliability and reduced performance that Sprint has had over the past two weeks. In one area of Atlanta, I can barely make calls, receive calls, and be heard on my phone. In another area of town, my data services aren’t working. I’m paying for unlimited everything and none of it’s working reliably since three weeks ago. Something is wrong. Something big is causing this problem and Sprint isn’t telling it’s customers anything about what is causing it, accept in some cases on their Customer Support Forums, they claim it’s due to LTE tower upgrades. I doubt that T-Mobile has these kinds of service disruptions while upgrading to LTE.